It’s Friday! Okay, you’re the first to hear me say it, but; I’m finally getting a little excited for fall. And, all the fall things! So, because I’m slowly getting ready, I’ve been bringing out fall things to start decorating. 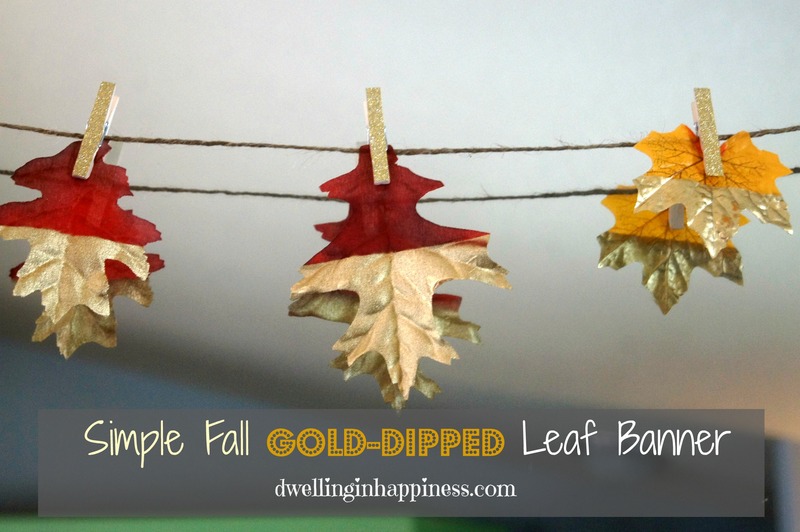 My first decor item is this cute and super simple gold dipped leaf banner! I’m totally obsessing with the color gold lately, so I’m thinking a lot of my fall decorations will have some sort of gold in it. 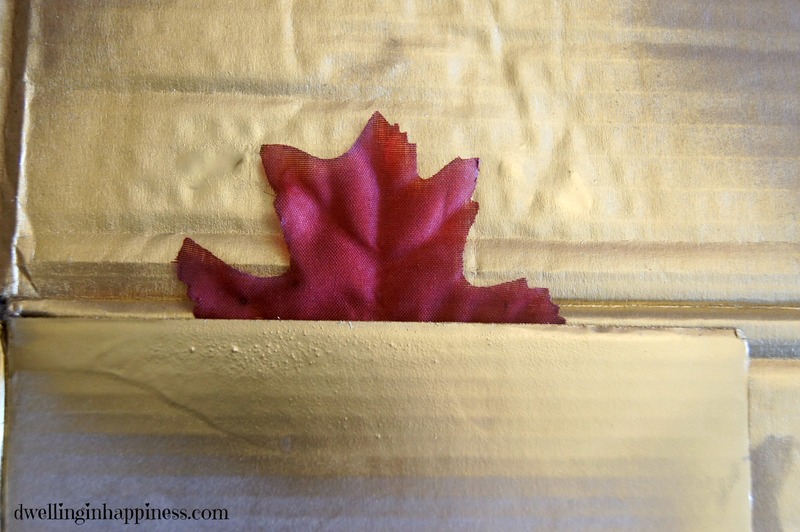 Hence, gold dipped leaves! 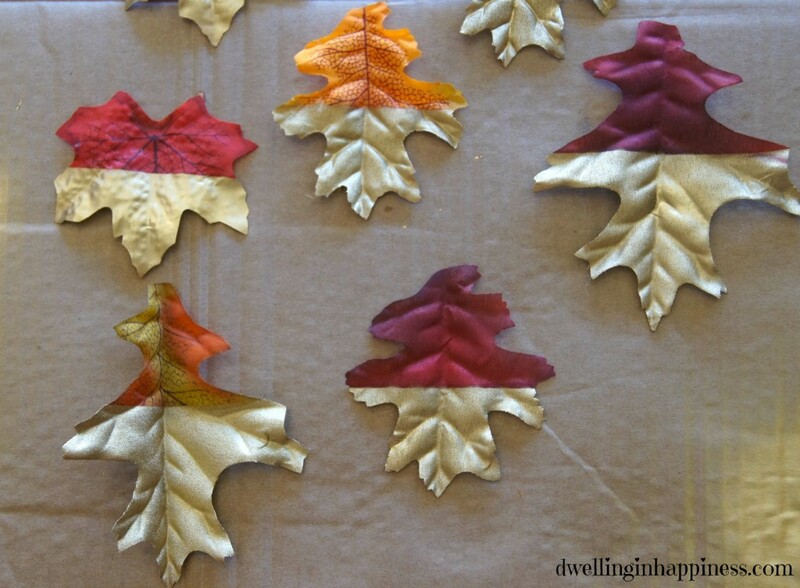 You’ll probably see me sneak gold into some other fall decor projects I’ll post, too. This cute little banner took me literally 30 minutes from start to finish, painting/drying time included. Who doesn’t love a quick project? I started by spray painting the leaves. I used a piece of cardboard that had a flap, so I could put my leaf down where I wanted, put the flap over half, and then spray. Easy peasy, took me 5 minutes. I also spray painted the backs, just because I was putting my banner across a mirror. 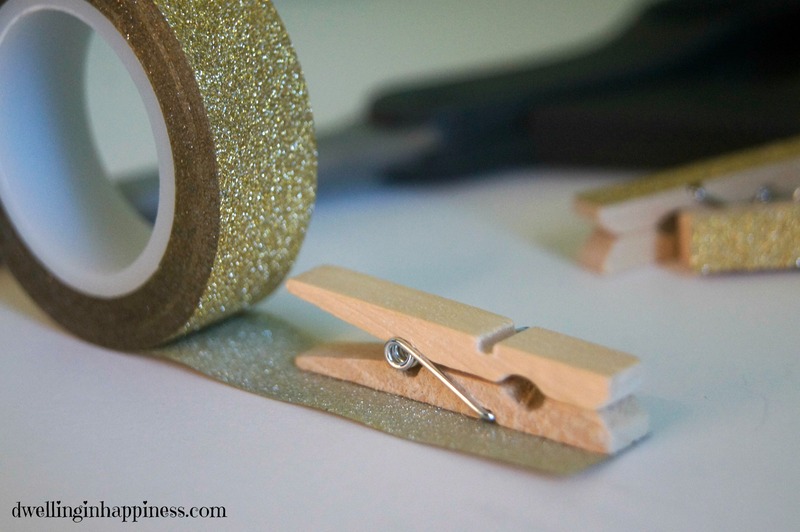 While those dried, I used the gold washi tape and put pieces on one side of the clothespin. The tape was actually wide enough to do two, so I’d fit the clothespin all the way to one side, cut off the excess, and then just put that on the next clothespin. Gold is oh so pretty, and I love seeing it reflected in the mirror! You could also paint the leaves a uniform color beforehand, like white or aqua or something fun. Maybe I’ll play around a little more later. 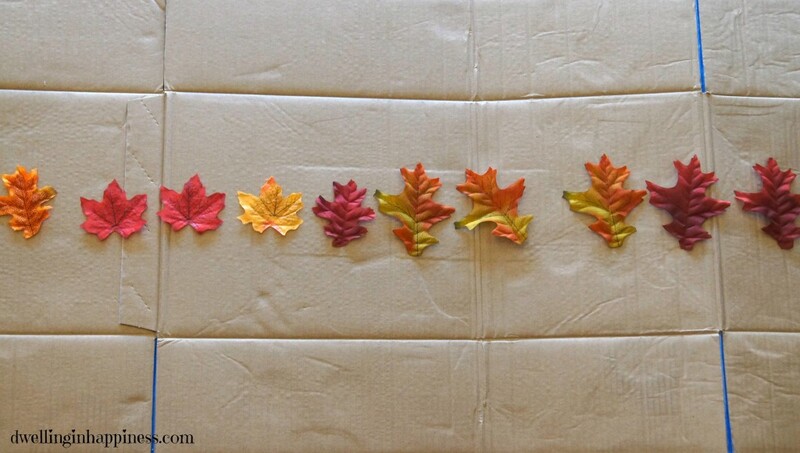 What have you decorated for fall so far? 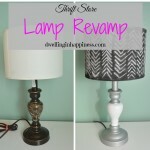 It’s About Time: Dark and Dreary to Light and Bright! SUPER cute Amanda! And LOVE those little gold pins!!! Thank you Kristi!! Yay for gold! 🙂 Happy weekend! Great project, Amanda! Gotta love quick and easy! Definitely pinning – sharing on FB, too! Thank you, Amy! I’m totally all about quick and easy, especially with a little one who thinks 30 minutes is a good nap. 😉 Thanks SO much for sharing!! Have a great weekend! Amanda I love these!! 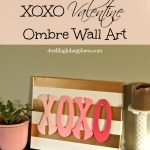 I am for sure going to make these for my kitchen! Where did you find the gold washi tape? Yay! Thanks Sydney! I found the tape at Joann’s, too! It was like $2.99, and will definitely be used for lots of projects 🙂 Have a great weekend! Let me know how it turns out if you make one! Wow, Amanda…this banner is so pretty! I love the gold details! I had to pin and will be sharing on my FB page tomorrow morning! I always keep that same can of gold spray paint stocked in my craft room. 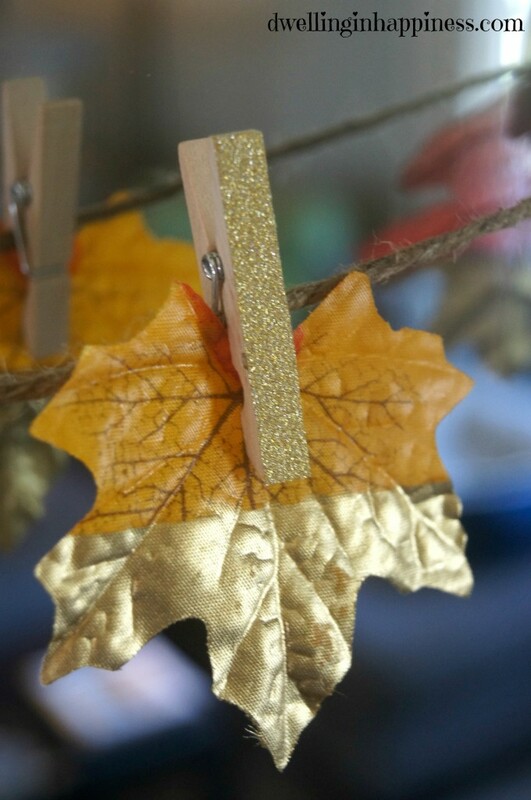 🙂 I really love the gold dipped leaves AND the gold clothes pins! Such an easy craft, too! So creative! I love it! Gold is so in right now! I love the simplicity of this project – I’m all abut simple – but the impact is incredibly beautiful. I’m so doing this! 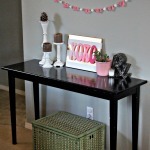 Thanks for linking up to the Pretty Pintastic Party. Thank you so much, Alli! 🙂 Hope you have a great week! Thank you, Mila! 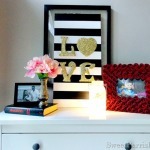 I totally agree, a little creativity and spray paint and you’re set! 🙂 Thanks so much for visiting, hope you have a great week! Thank you for coming back to share another great post at the #WWDParty. Super simple and gorgeous! I love it. Thanks for sharing. 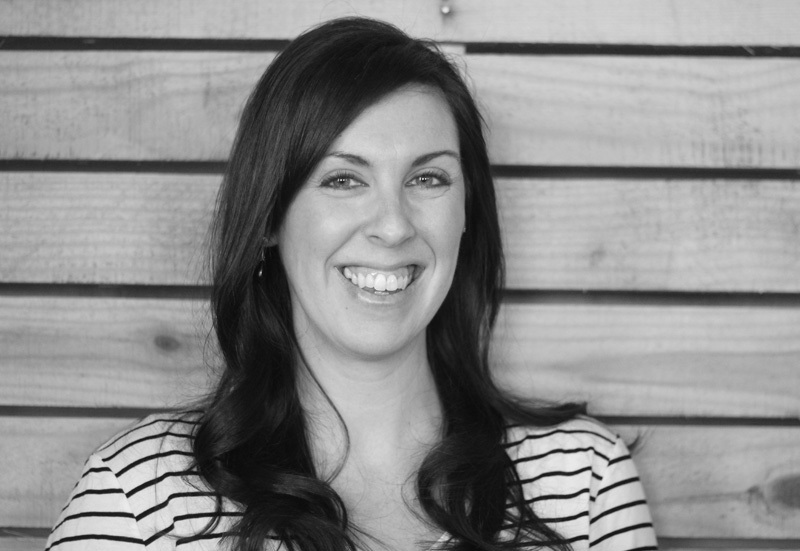 Thank you, Kelley! Can’t beat a simple quick project! Hope you’re having a great week! I LOVE this! I’m loving anything gold for home decor lately. 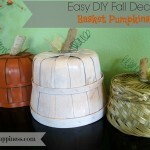 This is such a simple project but it would get me in the Fall spirit. Thanks for sharing with Hump Day Happenings! Thank you Jenna! Ahh, me too! Gold is now my new favorite color to decorate with. 🙂 Have a great Wednesday! Sometimes you just need a quick and easy project and this one fits the bill. I think I will steal this idea for the doorway between my dining room and living room. 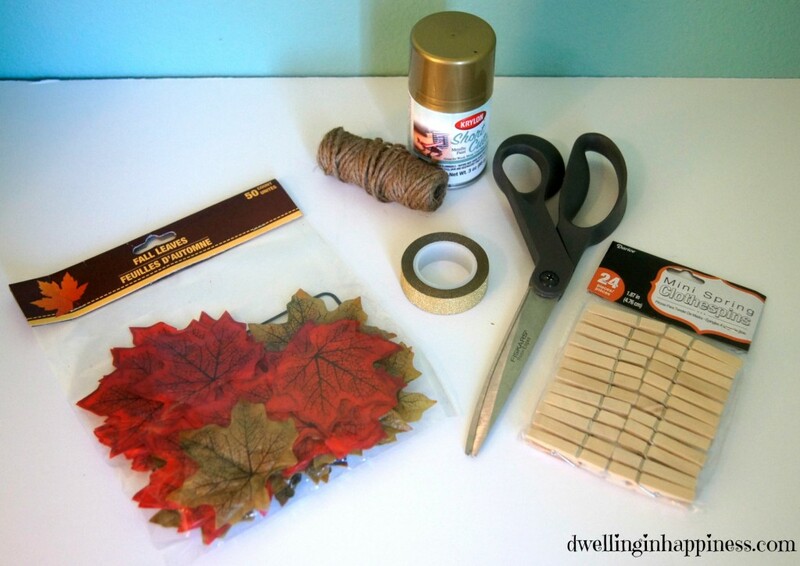 Absolutely Elena, definitely a quick and easy fall craft for sure. I bet it’ll look great in your doorway! Have a great weekend! How fun and easy!! I love it. Thank you!! Pinned. I’m in awe! What a cute (and cheap) banner…and looks so expensive!! 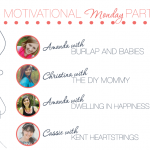 Thanks so much for linking up at Teach Me Tuesday last week! You are very much appreciated! Hope to see you again this week. Starts tonight at 8pm CST.